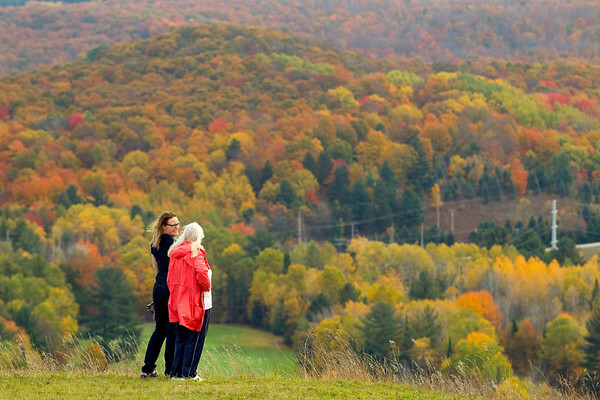 Julie VanderZwaag and her mother Wilma VanderZwaag of Grand Rapids check out the fall colors from the top of Schuss Mountain at Shanty Creek Resorts in Bellaire on Saturday afternoon. People had the chance to ride the Purple Chairlift to the top to enjoy the view of Antrim County's fall colors. It was the fourth and final scenic chairlift ride event of the season for the resort.